We've come a long way with our modern day eyelash extensions. Accentuating the eyes, namely the eyelashes, dates back all the way to ancient Egypt using kohl and ointments to accentuate them. History writes of many methods of creating longer eyelashes such as trimming the ends to promote growth as well sewing hair right into the eyelids! In 1902 Karl Nessler famous for being the creater of the permanent hair wave a.k.a. the "PERM" created a way to weave artificial eyelashes and eyebrows and began selling them in his London salon. From that point on eyelash extensions began to evolve into advanced the techniques we have today. Today Eyelash Extensions consist of single hairs attached to your existing eyelashes using medical grade adhesive. 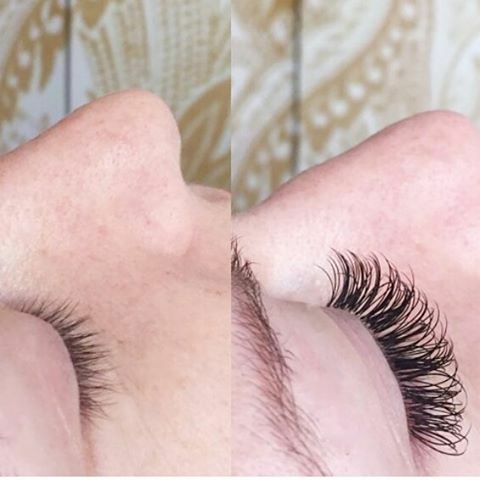 Here at Fig and Clover we provide the highest quality techniques for creating full and beautiful eyelashes. Our Eyelash Extension expert Kat Saldana (@ritualsbykat) does an amazing job achieving natural and effortless eyelashes. Eyelashes are an easy way to highlight the face and bring out the eyes. Not only do they serve the purpose of protecting our eyes they also are a beautiful part of our natural human anatomy. Culturally around the world long eyelashes are considered a symbol of beauty and nowadays long full eyelashes are attainable even if you weren't born with them! To book an appointment visit our website Figandclover.com or call 510-788-6378!